UQ is consistently ranked first for business administration and life sciences in Australia, and UQ's mining engineering and sport science is ranked first and second in the world respectively. 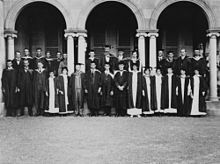 UQ has two Nobel laureates (Peter C. Doherty and John Harsanyi) and about a hundred Rhodes Scholars among its alumni and staff. 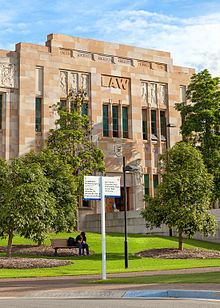 UQ notable alumni also include the first female Governor-General of Australia Dame Quentin Bryce, President of the University of California San Francisco Sam Hawgood, Oscar and Emmy awards winner Geoffrey Rush, triple Grammy Award winner Tim Munro, former Chief Justices of Australia, and the CEO of Dow Chemical Andrew N. Liveris. ^ "QS World University Rankings 2019". Top Universities. 2017-06-05. Retrieved 2018-06-19. ^ (CWTS), Centre for Science and Technology Studies. "CWTS Leiden Ranking". CWTS Leiden Ranking. Retrieved 2018-05-28. ^ "University Rankings". Top Universities. Retrieved 2018-05-28. 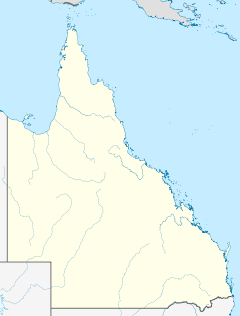 This page was last edited on 19 April 2019, at 05:27 (UTC).